Are You looking For Chiropractors in Fairbanks? Headaches can be excruciatingly painful and may severely limit the normal activities in your daily life. There are several different classifications of headaches, and many can be relieved with proper conservative care. Often headaches are secondary to muscular contractions at the base of the head or degeneration of the cervical spine. Sometimes they are brought on or aggravated by certain foods in your diet. To determine the kind of headache you have, it’s a good idea to keep track of the location of the headache, the time of day or month, how often it appears, if something in particular seems to ‘trigger’ it, and what seems to make it feel better or worse. Most headache sufferers can be treated here through spinal adjustments, physical therapy, and the avoidance of certain trigger foods. We will examine the cervical spine to determine if the pain relates to the spine and/or its surrounding muscles. In-depth history and exam can determine if symptoms are easily treated, or if there is an underlying problem. This examination will determine if you are a chiropractic candidate. Back pain is one of the most common ailments treated by Chiropractors in Fairbanks. Our approach is to first determine the cause of the problem. This usually involves a thorough examination with complete history, physical, and neurological examination with possible imaging studies needed to make a precise diagnosis. Once a cause is established, a variety of therapies may be indicated. If your back pain is a result of misalignment of the spine, herniated or bulged disc, or muscular dysfunction, Chiropractic adjustments as well as proper nutrition, physical therapy, and rehabilitation is often prescribed. Chiropractic care emphasizes healing your back pain naturally. Whiplash is the common term used for neck pain as a result of the head being snapped back and forth during an impact. It is most commonly associated with car collisions, but can also happen from a significant fall or contact sport-related trauma. During whiplash, the rapid movements can injure the vertebrae of the neck as well as the muscles and ligaments that support them. 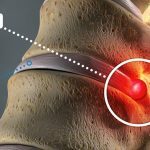 The discs between the neck vertebrae can become bulged, torn, or ruptured, while the nearby muscles and ligaments can over-stretch or tear. Whiplash might be accompanied with headaches, ‘knots’ in the muscles, dizziness, difficulty swallowing, blurred vision, nausea, fatigue, weakness and irritability. Our body may also try to stabilize the neck by significantly tightening up around the injured area as a protective mechanism. Sometimes these symptoms take a few days to appear after an accident occurs. Chiropractors are particularly skilled at conservatively treating neck pain as a result of a whiplash incident. If you have a very sore and stiff neck it is a good idea to have an evaluation. Your care will entail a detailed exam and, if conservative treatment is warranted, we will proceed with gentle nurturing of the cervical spine and muscles of the neck. We will talk about home instructions on rest, ice, and stretching as well. Who would think that one nerve could cause such severe pain? Pressure on the sciatic nerve can force even the most hardy person to seek treatment. 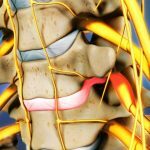 Sciatica gets its name from the longest and largest nerve in the body, the sciatic nerve. It is composed of smaller nerves that join together in the pelvis, after they exit the lower spine. The sciatic nerve then travels down the entire length of each leg, dividing again into smaller nerves as it reaches the knees and the lower legs. Sciatica is defined as pain anywhere along the course of the sciatic nerve. This could be from the lower back down to the hips or buttocks, all the way down into our legs, feet and toes. 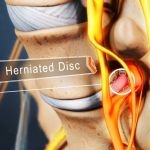 We will examine the low back to determine if the pain relates to the spine and/or its surrounding muscles. In-depth history and exam can determine what is the cause of your discomfort and how best to treat it. If you are experiencing pain shooting down one leg, into the buttock, thigh, or foot, consult your chiropractor for an evaluation. Wellness isn’t just a catchy phrase, it’s a way of life. No longer do we consider health to simply be the absence of disease. Today we view it also as the presence of vitality — the ability to function with vigor and to live actively, energetically, and fully. Vitality comes from wellness, a state of optimal physical, emotional, intellectual, spiritual, interpersonal, social, and environmental well-being. At all ages and levels of physical/mental ability, people can increase their vitality and wellness. People today have greater control over their health than ever before. They honor themselves by investing in their health, utilizing gym memberships, yoga, organic foods and supplements, personal coaching, meditation, positive relationships, and chiropractic treatments that focus on heightening their potential and life quality. Being responsible for one’s health means making choices and adopting habits and behaviors that will ensure wellness. Chiropractic care if you’re pregnant? Absolutely! If there’s one group of people who need chiropractic spinal checkups more than any other, it’s pregnant women. A pregnant female has special needs of her own and undergoes many changes both externally and internally. The new distribution of body weight creates stress on the abdomen and low back, which can be a source of discomfort for the mother. When the body is pulled forward, a great deal of stress is placed on the muscles of the lower back, which leads to additional stress on the discs and joints of the spine, and loosening of the ligaments. Often a woman will have mid and lower back pain. Our goal in treating these problems is to provide freedom from nerve irritation and insure the pelvic bones, muscles and ligaments are in proper alignment to facilitate biomechanical balance. This has been shown to reduce the intrauterine constraint, allowing the baby to get into the best possible position for birth. Stress is an inevitable part of life. We are constantly surrounded by environmental stressors. Other stressors originate in our own bodies and minds. Illness, injuries, and aging as well as self-defeating, inaccurate, or unrealistic thoughts about ourselves can cause tremendous stress. Many times, emotional stress will manifest itself in a physical way in our bodies. The result can vary from low grade tension to an acutely painful condition without any particular ëtraumaí. What can you do about all this stress? A great deal. Developing and maintaining healthy exercise and eating habits, and mastering simple techniques to identify and keep an eye on individual stressors, you can learn to control the stress in your life, instead of allowing it to control you. Regular Chiropractic adjustments can help to release tension and allow our body systems to function optimally. People who manage stress effectively not only are healthier, but also have more time to enjoy life and accomplish their goals. We can help create a successful individualized program for coping with stress including time management, exercise, supplemental nutrition, and relaxation techniques.